Here at Capstone Pain and Spine Center, we treat surgery as a last resort. When all other noninvasive or minimally invasive treatments have failed to provide pain relief, surgery may be the last effective treatment. 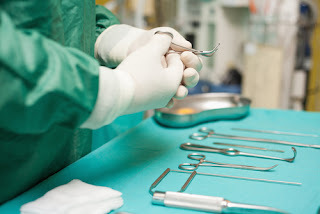 Since surgery is such a serious treatment method, there are things you should definitely know about your pain and treatment options before you opt to go under the knife. What questions should you ask? Find out below. Question #1: What’s the cause of my pain? For any treatment to be effective, you and your physician should know the source of the pain. If the wrong area is treated, you could find yourself waking up with chronic back pain even after surgery. Before undergoing any minimally invasive or noninvasive treatment, make sure the exact source of the pain is identified. Question #2: Will surgery even cure my pain? Not every back pain problem responds well to surgery. Some conditions that lead to chronic back pain may have better results after surgery than others. For example, degenerative disc disease usually cannot be cured through an invasive surgical procedure, whereas conditions like spinal stenosis and herniated discs are easily repaired through minimally invasive and surgical treatments. Question #3: What are the success rates for this procedure? Always know what odds you’re up against before you undergo any invasive treatment like laser spine surgery. Compare the odds with the chances of pain-relief from other less invasive treatments, like minimally invasive back pain treatments. If you have good changes of feeling pain-relief from less-invasive measures, why not try those first? Question #4: What will my recovery be like? Depending on your procedure, more invasive treatments can require you to be off your feet for weeks or even months. Less invasive procedures, however, usually require minimal downtime. In fact, most of them allow you to go home the very same day and be back to your normal self within days. Asking about your recovery time can help you decide which procedure is best for you, based on the desired results and success rates of that treatment method. Question #5: What are my other treatment options? Like we said above, not all pain conditions need to be treated with invasive surgeries. Many conditions can be treated with a simple minimally invasive procedure, like injections. It’s in the best interest of your spine and overall health to try all less-invasive treatment options prior to going with the one that will require the most recovery time and strength from your body. It’s your body and your health, so don’t be afraid to ask every possible question before deciding which back pain treatment to go with. You should be aware of everything you need to know before choosing a more invasive procedure. The pain specialists at Capstone are here to make sure you know everything you can about finding a back pain treatment in Dallas-Fort Worth. Don’t hesitate to contact us today or find your question in our list of Frequently Asked Questions. [http://www.capstonepain.com/faqs.php] Let us help get you back to a pain-free state. Get in touch with us today. What a great blog you have created! The question is however always in our mind before considering any type of surgery. Spinal is a sensitive part of our body and any damage to that causes a big problem. Surgeons in LA like Todd Gravori MD of Promed Spine says that lower back and spine pain are among the leading causes of disability worldwide. Most state-of-the-art surgical techniques to treat lower back and spine pain and help patients get back on the road to recovery and good health. Don’t hesitate to contact a surgeon to set up an initial consultation. Be careful. Great to know! But Potential risks to any surgical procedure include unforeseeable complications caused by anesthesia, blood clots, undiagnosed medical problems such as silent heart disease, and rare allergic reactions. Complications of spinal surgery can include neurological damage, damage to the surrounding soft tissue and, where used, instrument malfunction. Most of these complications can be treated once they are detected, but sometimes they require a longer period of hospitalization or recovery, additional medications, and sometimes even additional surgery. Depending upon the type of surgery you are having, these risks will be explained by the primary surgeon. Other risks associated with implants used include device migration, loss of spinal curvature, correction, height, and/or reduction. As a patient, it is important to understand and follow your doctor’s advice so that the best possible outcome can be achieved. Surgery is not for everyone. Please consult your physician.